This is the ProTek R/C Large Plastic Storage Container. ProTek R/C understands that staying organized is a key component to success. Organization helps you remain calm, on task and focused on what's important. Searching for lost parts can be frustrating and a huge waste of time. When you need a part, you need to know exactly where it is, every time. 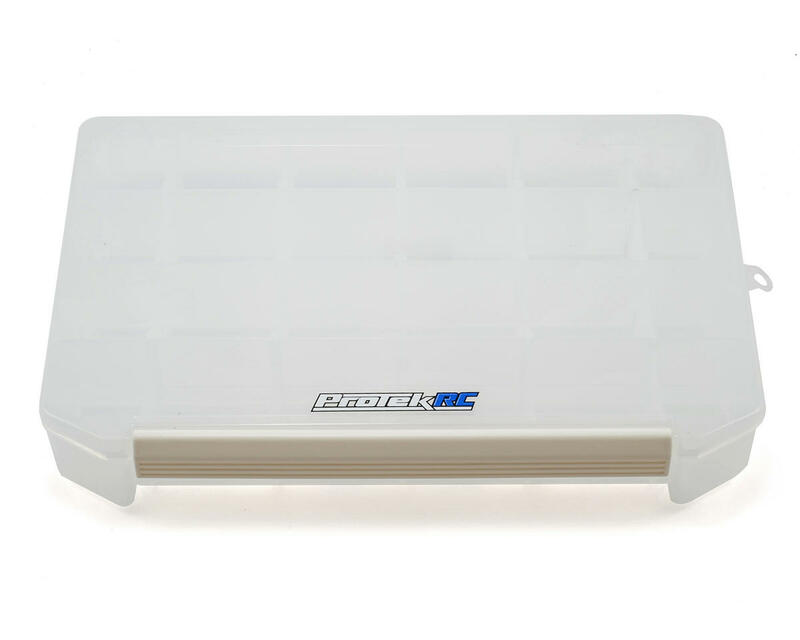 With the ProTek R/C Large Storage Container, you have four rows of customizable compartments. The rows can be configured into twenty-four individual compartments for small parts and hardware, or left open to store longer items such as zip ties. 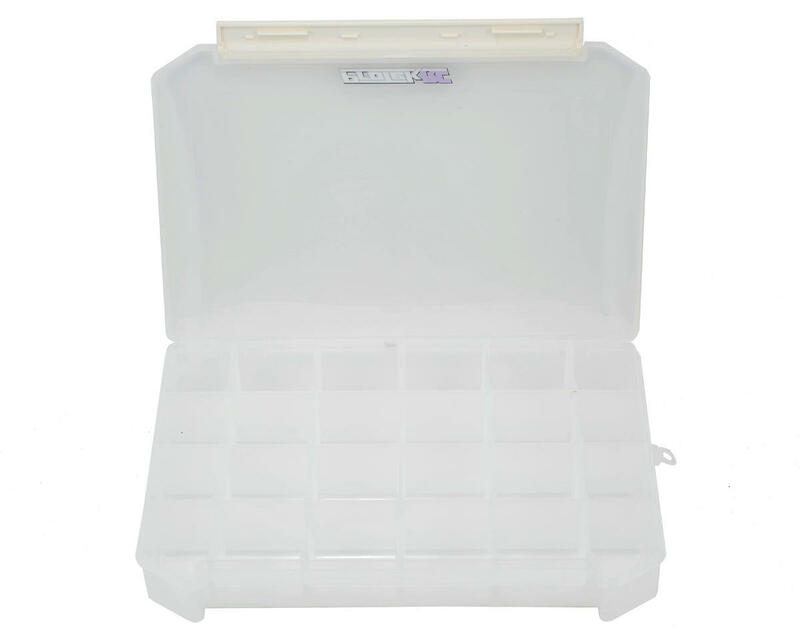 At 11.75 inches long, 7.75 inches wide and 2 inches deep, a wide variety of items can be organized and stored for when you need them the most. When it's time to travel, a single latch bar locks the lid down keeping your contents securely organized. Loving these boxes. Just the right size and totally adjustable by taking out individual 'walls'. These are really helping me get organized! The new storage containers are perfect for keeping parts neatly organized. They are also perfect for the traveling RC racer. Grab one today and you won't be sorry. keeps my motors and rotors etc. organized and under control. Much less stressful when you can find what you need.